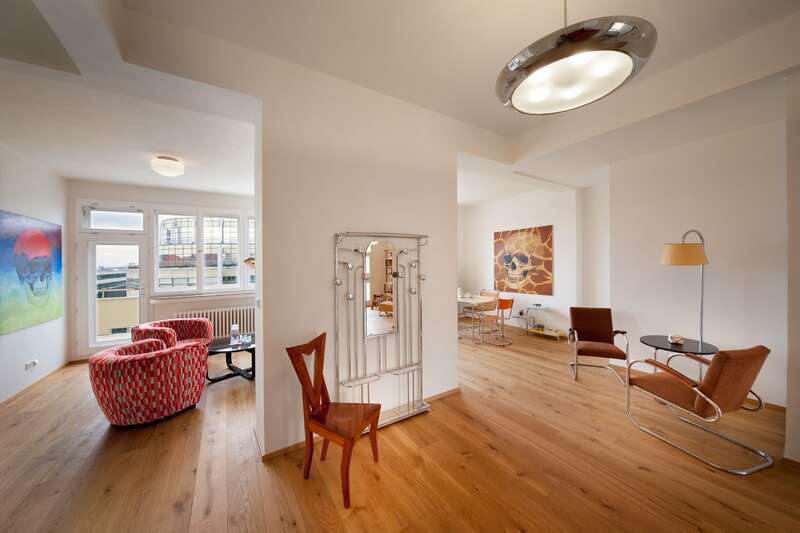 Modernista furnished a model flat in the newly renovated functionalist Rezidence Flora. Art & Brick is a series of one-day exhibitions in the non-traditional spaces of Pražská správa nemovitostí’s selected residences. The first pop-up exhibition took place 25 September in the functionalist Rezidence Flora in Prague’s Vinohrady neighbourhood. Selected flats were turned into a non-traditional gallery in which works of art were presented of contemporary Czech artists.